We are proud and happy to announce that our annual ownCloud Contributors Conference 2016 will take place from September 9th to 15th in Berlin, kindly hosted by the Technische Universität Berlin. 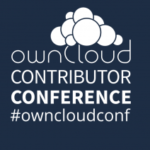 On September 10 and 11, we will have a track of presentations about all topics around ownCloud. 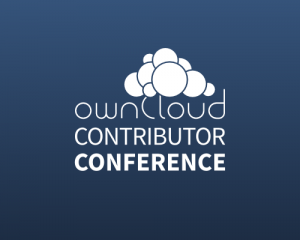 This is a Call for Papers for your contribution to a great ownCloud community event. This is about you, the ownCloud community! Please feel free to talk about your favourite app, ownCloud installation, best practices or a proposal for future architecture. 30 minute tech talks – if a topic needs a bit more time to explain or investigate, still a broader audience, some interactivity welcome. Workshops with flexible length – for hands on excercises, to share knowledge, learn, try things. Presentations can address all different areas of ownCloud: First and foremost technical topics around code, but also contributions about the social aspects of the project, community affairs or just free software in general. There will be beginners, but also professionals. 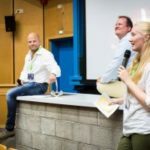 Even though the ownCloud conference is a community event with no commercial background, we also consider users of the commercial offerings around ownCloud as community members and welcome their experiences stemming from installations in companies, education organisations and at service providers. Please help to make the ownCloud Conference 2016 a huge success and remember to post your proposal before August, 21th.